Most behaviours and feelings are automatic and unreflective, rather than consciously chosen to achieve goals. Notwithstanding, our default behaviours and emotions aren’t random: they’re trying to accomplish things for us. Most default behaviours and feelings are *terrible* at accomplishing the things they’re trying to do. Try to understand what your behaviours are supposed to accomplish. Not just the ones you consciously choose, but also all the ones you never think about. This is hard because most of us are oblivious to the goals we’re actually optimising for. In no small part due to denial and willful ignorance. Don’t be ashamed if you’re subconsciously trying to achieve unflattering goals – this is true of everyone. It’s unfortunate that the standard is to pretend to everyone else and ourselves that we only ever have unselfish, noble goals which never ever stem from insecurities, unmet needs, or simple personal interest. If you know what you are subconsciously trying to do, it’s much easier to understand your own behaviours. Once you understand your behaviours, think about whether they really succeed, and what more effective approaches you might choose. This applies not just to actions, but equally to our automatic emotional reactions and judgments. Many people think that the good, ‘ground’ state is one of rest. Because of this, they believe that maintaining any other state requires effort and suffering. People also believe that once they complete all the work they’ll able to rest, but this is gravely mistaken as the work is a never-ending stream. Instead people should realise that “inaction is boring”, “the ground state is active, not passive”. One should work to optimally manage the incoming streams of work. Really, ideal state is where you’re taking any damage while moving, but getting done what you want done as fast is sustainable, and no faster. Conclusion: the ground state is in motion. [M]ost people have this model of the world where whenever they’re not resting, they’re taking damage. When the homework isn’t done, they’re taking damage. When they’re reading a textbook, they’re taking damage. When they go to sleep with work unfinished, they’re taking damage. When they’re at a large social event, they’re taking damage. Some part of them yearns to be in the rest state, where they don’t need to do all these things, and insofar as they aren’t, they’re suffering a little. Nate claims that people experience suffering while working because of their inaccurate model, that whenever they’re working, they’re taking damage. I think that people experience suffering while working because they are taking damage. The solution here isn’t to change your model, the solution is to stop taking damage. Nate has written repeatedly about how he doesn’t use willpower to get things done. Willpower is a stop-gap measure. But most of us are still always using some degree of willpower to make ourselves do things done, even when parts of us would much rather do something else. And this constant forcing is freaking exhausting. Always fighting the inner monkey to go do the dishes and taxes instead of sleeping in or playing Civilisation. Nate might not be taking damage, but the rest of us are. We’re burning through precious reserves of willpower. We crave a rest state where instead of depleting willpower reserves by forcing ourselves to do things, we get to do what we feel like with complete mental harmony. So you end up with this perennial cycle of building up and depleting reserves: work 9-5, then go home and veg; work five days, then take two off; work forty-eight weeks, take four off. Nate characterises the rest state as one of inactivity and lack of motion and declares it as obviously not very appealing. I think he’s missing what’s important about it. Most of us wouldn’t want to just lie in bed doing nothing forever, anyway . . . For almost everybody, inaction is boring. That’s why we pick up books, go exploring, and take up hobbies. The ground state is an active state, not a passive one. The rest state isn’t about what you’re doing, it’s about how you’re doing it. Namely, doing things where you don’t feel forced, like you ‘have to do them’. This is why you’ll find examples people doing the exact same activities for work and play. The key difference between work and rest isn’t action vs. inaction, active vs inactive, it’s whether you’re making yourself do it. I think one of the reasons people think high productivity is hard is that they think of lying in bed doing nothing as the default state, and anything else as taking damage. People find high productivity hard because their attempts to increase productivity amount to upping the willpower burn-rate for a while. That feels harder and more effortful, and predictably leads to a willpower burnout. The ground state, the state to aspire to, the healthy state, the state that occurs naturally when you aren’t forcing yourself to do anything, is the state where you’re getting done what you want done as fast as is sustainable, and no faster. So what’s the real solution to balancing work and rest? Stop taking damage. Stop forcing yourself to do things by using willpower. How do you this? Follow Nate’s advice to get all parts of your mind working harmoniously together to move towards the goal. Many of Nate’s posts address exactly this: getting rid of obligations, deregulating distraction, habitual productivity, and eschewing willpower. If you were to manage that, you might find that work doesn’t feel much different to rest, because you’re doing exactly what you feel like doing. Exactly like what every part of your brain feels like doing. Rest in motion correctly describes the ideal way of working, resting, and the balance between them. The mistake is simply underestimating what stands between most people and accomplishing it. Fortunately, the author’s other writings provide an excellent guide to reaching the ideal. Major acknowledgement to Peter McIntyre for thorough edits to this post. When it comes to rationality, the classic dichotomy is between epistemic and practical. Instrumental rationality is about making decisions that are well-aimed at bringing about what you want. Due to habit and bias, many of our decisions don’t actually align with our goals. We can measure instrumental rationality with a variety of techniques developed in economics, for example testing whether a person obeys the ‘axioms of choice’. I’d like to sketch out an alternative taxonomy. The difference between epistemic and practical rationality is useful, but it misses key parts of the picture. Or if it doesn’t miss them entirely, they’re only implied when they should be explicit. To use some old LessWrong jargon, this new taxonomy won’t say that the territory is any different from what the original, E/P taxonomy says it is, or that the E/P taxonomy incorrectly carves reality at it joints, just that this new taxonomy stresses other very important joints. After introducing E/P rationality, the post quoted above states that the gold standard of what it would mean to be perfectly rational is specified in fields such as information theory, probability theory, decision theory, game theory, Bayesian statistics, and what not. Alas, we are humans who have limited and buggy brains, which means we can only attempt to approximate the theoretical ideal. That’s why we take an interest in cognitive bias and heuristics, in order to work with our meaty brains to get the best that they can do. (At least until we upgrade to another inherently limited medium and determine how to work with their limitations). This point needs to be remembered. There are the laws of optimal belief and optimal action which would apply to any agent in our universe, and there are the specific applications of those general laws to the particular circumstances of humans and the kinds of problems we face. I’ll dub the former universal rationality or agent-agnostic rationality and the latter human rationality . Almost all the attempts to improve rationality that I’ve seen are about human rationality. After all, that’s what we need; most people are not constrained by the unsolved problems in decision theory, they’re bottlenecked on getting their S1 and S2 aligned. CFAR once taught a class on Bayes’ theorem in many forms, but they eventually dropped it , focusing instead on propagating urges, aversion factoring, and Againstness . Heck, “CFAR. Rationality for humans” wouldn’t be all that bad a tagline. There’s a further divide which is useful to make within human rationality, and really, this is the one I want to talk about. I’ve borrowed it from Science. Researchers sometimes divide mental processes into two kinds: cognitive processes and affective processes. Cognitive processes are those to do with attention, memory, language, intelligence, etc. They’re focused on processing information. Affect is the term for everything else going on in your mental life, which is actually a heck of a lot of stuff. Affect is the technical term for ‘emotion’, but it’s really much broader than that. Affective processes include emotion, mood, temperament, self-regulation, motivation, goals, and even values, depending who you ask. They’re pretty important. The division is sufficiently meaningful that affective science is its own burgeoning field distinct from the main body of cognitive science. There’s only some small – and I’d say inconsequential – debate about whether affective science is a sub-field of cognitive science or wholly its own thing. And if there’s cognitive science and affective science, it only makes sense to say that there’s cognitive rationality and affective rationality. The definitions follow quite simply. Cognitive rationality is about using your human head optimally to believe true things or take actions which get you results. Challenges include working with all the heuristics and biases which distort thinking. Affective rationality is about working with all those especially human aspects of your mind: emotions, motivation, willpower, personality, virtues, values, life satisfaction, feelings towards yourself and others. This post was actually supposed to about affective rationality, before I realised that I needed to situate it with respect to the existing E/P split. So I’m going to give it a touch more attention. Affective rationality is the branch of rationality which is about how to get your S1 and S2 aligned so that you feel good and feel motivated while working towards your goals. It’s about knowing when to use willpower and when not. It’s about managing your life such that your mood is typically good, you know how to handle the ups and downs, and you have a sense of well-being and gratitude. It’s about intentionally shaping your personality to be less neurotic and more equanimous. About generating feelings of compassion towards yourself and others, yet striving for more. Like epistemic and practical rationality, cognitive and affective rationality skills are inextricably linked. For instance, you might need to be able to see that the failure of your startup doesn’t jeopardise any of your main goals (cognitive skill) in order to reduce negative affect around failure (affective skill). In fact, Cognitive Behavioural Therapy (CBT) is a blend of cognitive and affective, where the ability to see a more accurate picture of the world results in an ability to better manage mental and emotional states. But if cognitive and affective skills are so tangled, why make the divide at all? The answer is that it’s easy to forget about one while focusing on the other. Labelling them can help prevent that from happening. For example, a student of rationality might be trying to decide whether to start postgraduate studies or seek immediate employment. It would be easy to feel that rationality dictates that she carefully weighs all the pros and cons of each option, account for hyperbolic discounting, nail down her uncertainty, and then decide.. All the while, she’s neglecting to notice that the whole process is making her anxious and she’s rushing through it, just going through the motions to act duly diligent, but not actually optimising. To make the decision in the best way, she should factor in how her own affective state might be affecting her judgement . I hope that having the the concepts of cognitive and affective rationality salient will remind people to check their affective states when dealing in the cognitive issues, and their cognitive processes when handling affective issues. I even hope that this taxonomy is useful to others in assessing where they are strong and where they are weak. This relates to why I’m writing this post now. I recently witnessed first-rate epistemic rationality skills in business. In contrast, I’ve been focused on productivity, emotions, motivation, willpower – all affective/practical stuff – for some time. I believe they were and still are my correctly priorities, and I think that’s true of most people. Because of my focus, I’d had the thought that LessWrong was mistaken in its heavy emphasis on epistemic rationality. Instead I thought that it was CFAR, and all the other rationality writers I can think of, who are correct in focusing on practical rationality. Seeing epistemic rationality skills getting big returns, I’ve now updated back to the position that epistemic are sure as hell important too (at least if you have any thoughts of entrepreneurship). And LessWrong, to the extent that its goal concerned AI safety, was on target. While I need going to continue working on my motivation systems/mental harmony, I will be on the lookout for the time when I need to radically up my epistemic rationality. Currently I’m making affective rationality my domain of expertise, but the time will come to swing over to other branches. This division is the same as between Normative and Prescriptive rationality (HT to Julia Galef), but I think it’s useful to stress the human nature of the rationality we need to pursue. CFAR has run at least one 2nd tier workshop focused on “Epirat” though, where Bayes’ theorem might have been reintroduced. Of currently running classes, VOI (Value of Information) might be a genuinely agent-agnostic rationality skill. Hat tip to Julia Galef, again, for this example, and all the useful feedback she offered! The last I saw, CFAR’s classes on Making Hard Decisions started with ‘sanity-inducing rituals’, and I think that’s spot on. Those who know me know that I spend a great deal of time thinking about how best to think and act – “thinking and decision-making skills”, I call it. In fact, I’m an avid member of a global community of people who care about these skills, I recently delivered public lectures on the topic, and I continue to volunteer in promotion of them. 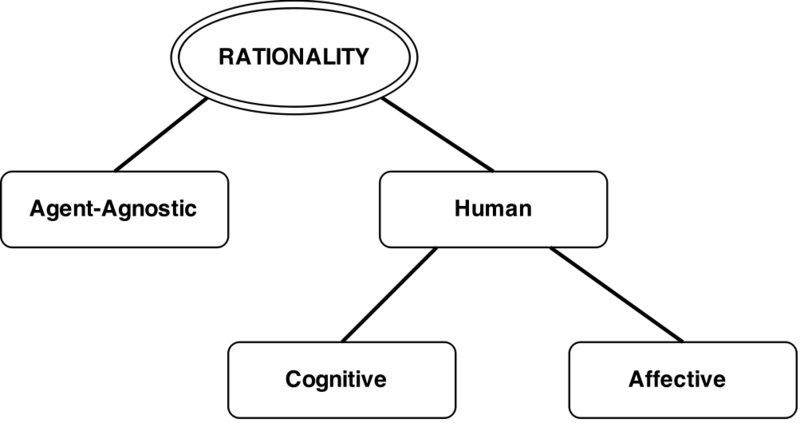 The term typically used for these thinking and decision-making skills is ‘rationality’. It’s a term which makes sense to use, but it gets caught up with various connotations and mischaracterisations such that I prefer to avoid it. I don’t care about rationality. To me, rationality and being rational has no value in and of itself. “Rationality” is just a fancy name for the thinking and acting that is most likely to result in me getting what I actually care about. I care about a lot of things. I care about the elimination of suffering, about pleasure, knowledge, art, truth, progress of the human race, my friends and family, and many, many other good things. And I care about them so much that I take my caring about them very seriously. Rationality, however, is not on that list. It is a mere tool for getting the things I care about intrinsically. P1: I care about things. P2: If you care about things, you should act and think in the ways which are mostly likely to achieve/get/protect them. P3: To act and think in the ways mostly likely to get what you care about, you have to figure out which ways those are and train yourself to do them. C: I spend time trying to figure out how I should act and think to get what I care about, and training myself to actually to do that, so that I can actually get the things I care about. Unfortunately, the ways best suited to achieving the things I care about often aren’t obvious and often don’t come naturally – things like not procrastinating and not ignoring evidence against things I like believing. So it ends up taking quite a lot of effort to do the things which are most likely to get me what I want. But I want them a lot, so I put in that effort. And I dream of a world where everyone puts in the effort to figure out how to best get what they want and value and care about, and then takes the right action to get it. In that world, there is no hunger, there is no disease, no poverty, no ignorance, no death. We have acted wisely, effectively, rationally, and eradicated them. Instead we enjoy happiness, fun, friendship, challenges, stimulation, knowledge, love, and all other good things. That is why you hear me talk about thinking and decision-making skills – about rationality – so damn much. Previously I wrote about the constant slide into sphexishness which one must work vigilantly to avoid. Of late I’ve noticed that even when I’m generally achieving a high level of agency – and I’m using the term today to mean a high energy, high willpower state enabling me to be effective at goal pursuit – I don’t maintain it at a constant level. Instead, my agency level fluctuates periodically. Drops occur after a point daily with tiredness, and also for stretches of a few days with the ups and downs of life. These states of decreased energy and increased akrasia don’t need to be unproductive though, nor I am forced to wait passively for their end. In the case of tiredness, there are plenty of tasks I can do with reduced energy levels, even if it’s just taking a restorative break – or I can just actually go to sleep. Yet once I’m tired and my willpower is down I’ll get stuck staying up late, doing something which isn’t even that fun – wasting time now and sabotaging tomorrow by not going to bed. The same goes for when I’m in a more enduring rut. Every now and then I’ll get stuck in a period of low productivity where my morale goes down, I start to leave the house less, socialise a bit less, exercise less, and generally feel less good. There are actions I can take to break out of these states too – get on top of my sleep, exercise, success spirals – but more often than not I wait for a natural return to normality rather than short circuiting it. I generally don’t have the willpower to both think of what I need to do and to do it. In both these cases I’m being sphexish, but I struggle to get out of it due to low willpower and energy. Noticing that this happens recurrently, I realised that I needed to prepare for sphexish states while I still have cognitive resources to do so. I’ve started installing routines and habits which let me still work towards my goals even while in a “sphexish” state. I’m guessing that doing this hadn’t occurred earlier because sphexish-me never has the energy to do so, and agentic me never remembered sphexish-me’s predicament once it was over. Similarly, I’m experimenting with incorporating this into my GTD system. Part of a GTD system is a list of next actions to take, and it’s recommended that these are sorted by context: at home, with a computer, with a telephone, etc. Since the strongest determiner of which action I should take seems to be how much energy and alertness I have, I’m now sorting my next actions list by energy-level. This way, when I get tired there’s already prepared list of things I can do that I’m up to doing. I save my high-energy periods for reading textbooks and call my bank when I’m fading. So not only do I still get some stuff done while tired, but I’m also not wasting high-energy periods on tasks that don’t need it. As a bonus, checklists and routines have the added benefit of saving attention. I have an evening routine and in the past I’d always have to stop for a few seconds and think what next despite doing it day after day (inconsistent order might contribute) which distracts me from thinking about other more interesting things. I’ve now got those five steps written down, and I imagine that after a few repetitions they’ll stick and require no conscious attention all. Checklist Rationality will be the topic of my next post.